Rolling coverage of the key measures in the first Conservative-only budget since 1996. Change in goal due to stronger tax receipts than forecast, extra savings in this financial year, and banks like RBS being returned to the private sector faster. Public sector pay will rise by 1% for the next 4 years. Government will increase NHS funding by £10bn by end of decade. A time limit on non-dom status for anyone resident in the UK for 15 of the last 20 years. Bank levy rate will “gradually fall” over next 6 years. New 8% surcharge on bank profits. More money for Victoria Cross & George Cross recipients. Permanent memorial for victims of terrorism abroad & memorial for victims of Tunisia terrorist attack, more money for school cadet programmes, regeneration of the RAF Group Fighter Command Centre. Consult on plan to allow new cars to wait 4 years instead of 3 for first MOT, saving motorists £100m p.a. Fuel duty to remain frozen this year. Student Maintenance Grants abolished from 2016/17, replaced with loans for new students which have to be paid back once they earn £21k p.a. Loan on offer will be higher than the grant at £8k. Government will consult on freezing at £21k the threshold for loan repayments. Powers for new mayors to set Sunday trading hours. Restrict mortgage relief on rental property to the basic rate of income tax. Couples can pass on family homes tax-free as long as property is worth less than £1m. Families can pass up to £1m to children without paying inheritance tax. Consult on taxing pensions like ISAs: add taxed income, topped up by government on tax-free basis, then withdrawals tax free. Dividend tax to rise. Tax-free allowance of £5k. Corporation tax to fall from 20% now to 19% in 2017 then 18% by 2020. Housing benefit ended for 18 to 21-year-olds except in exceptional circumstances. Working parents will eligible for free childcare of up to 30 hours per week. Employment & Support Allowance cut to level of Jobseekers’ Allowance for those deemed fit to work. (Cut of £30 per week but for future claimants only). Income threshold in tax credits reduced from £6,420 to £3,850. Universal Credit work allowances similarly reduced – no longer awarded to non-disabled claimants without children. Cut benefits cap to £23k p.a. in London and £20k elsewhere. Families on £30k will have to pay market rents if they want to live in social council houses. No extra tax credit, Universal Credit or housing benefit support for a third child after 2017. Provisions for exceptional circumstances e.g. “multiple births.” Only applies to new claimants. Tax credits changes reduce total amount spent to 2007/08 levels. Rates of income tax unchanged. Tax-free personal allowance raised to £11,000 from £10,600 in 2016. 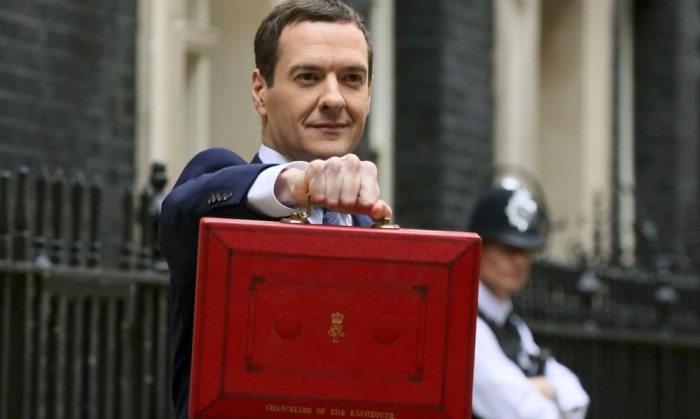 Government will legislate to ensure personal allowance rises with inflation once the £12,500 goal is met. 40p tax threshold to rise to £43,000 from £42,385. Set to rise to £50k by 2020. New national living wage will be COMPULSORY for working people 25 and over, £7.20 from next April and to reach £9 per hour by 2020. National Living Wage will be at least 60% of median earnings by 2020. Employer National Insurance contributions to fall for small companies. Employment Allowance to rise to £3k, allowing small firms to employ 4 people on National Living Wage without paying NI.